Is this real? Must. Eat. This. 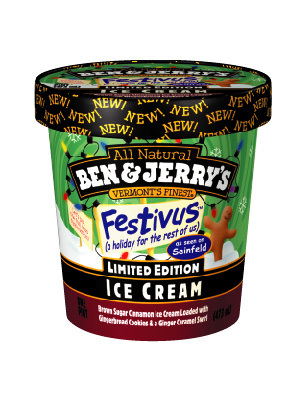 Right off the bat, let me tell you that you don’t have to decide the 20 best Festivus grievances of all time. We’ve already done that. Rather, we need you to pick the top 3. Employing the expertise of a team of Festivus specialists trained in the foothills of Manhattan, we’ve created a list of what we think are the best Festivus grievances ever to make an appearance on my wall at my annual Festivus party. I’ve compiled these rankings since 2006, starting with Top 10 lists and eventually expanding to Top 40 lists. So there were lots of options from which to choose. The goal of this survey is to end up picking the best grievance of all time, but you get three choices to help impact the decision. Go with your gut. There’s no scientific metric for grievances. Just vote on the ones that resonate with you the most. Thanks for your votes, and I look forward to seeing which grievance rises to the top of the ranks! I’ll close the polls on December 31 at midnight (unless I’m doing something else at midnight, if you know what I mean…and yes, I mean reading in bed with my cats). This entry was posted on Monday, December 16th, 2013 at 11:08 pm	and is filed under Festivus, poll. You can follow any responses to this entry through the RSS 2.0 feed. I never thought I’d disprove this grievance, but when my 1-year-old eats 2 bananas a day and has four thousand pounds of other stuff to be carted around, you’d be surprised how often I actually do have a banana in my pocket. That’s awesome. I might start carrying a banana in my pocket just to elicit that question from people.